Alongside the standard short styles and new loose, hippie styles of the late 1960s and early 1970s was an urbane, sophisticated hairstyle, best remembered in its later, disco variation. 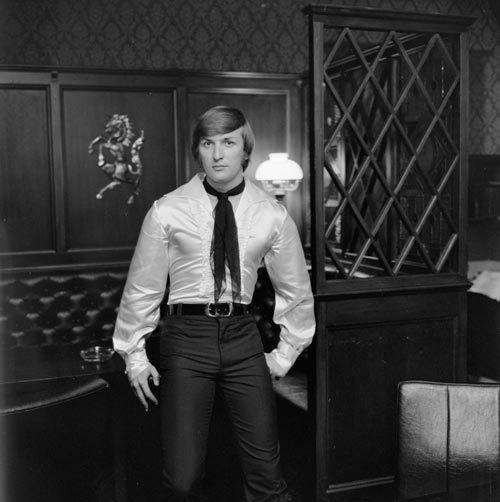 It is seen here in an advertisement for menswear featuring the ‘Romeo’, a tight satin shirt with full sleeves, unbuttoned down the chest and worn with a scarf. Although the hairstyle was reasonably common, New Zealand men rarely wore such clothing with it.